Newton Stewart Golf Club members were celebrating last week after winning the 2016 Scratch league. 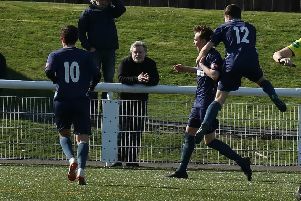 The last round of Scratch League results saw Newton Stewart lose 3-1 away against Wigtownshire County but Stranraer couldn’t capitalise as they also lost by the same margin away to Portpatrick. In the other game, Wigtown and Bladnoch had a home win against St Medan. The ‘B’ league saw home victories for Stranraer, Newton Stewart and St Medan against Portpatrick, Wigtownshire County and Wigtown and Bladnoch respectively. The final league positions are shown in the tables below.